Found one file extension association related to Macaw for Mac and 1 file format developed specifically for use with Macaw for Mac. Macaw provides the same flexibility as your favorite image editor but also writes semantic HTML and remarkably succinct CSS. 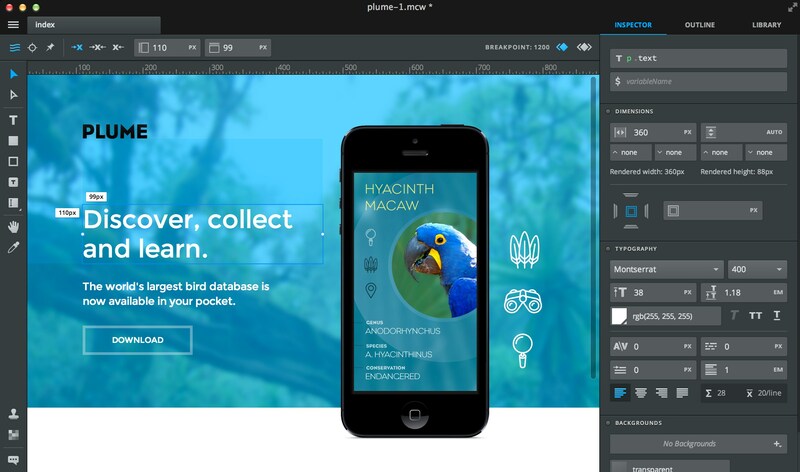 Macaw’s design environment is powered by a real-time layout engine called Stream, which allows elements to be manipulated in a manner similar to image editors like Adobe’s Photoshop. Behind the scenes, Stream calculates all of the properties necessary (floats, clears, margins, etc) to place the elements into a static document flow just as a seasoned developer would. If you need more information please contact the developers of Macaw for Mac (Invision), or check out their product website.